The care of patients with pseudotumor cerebri (idiopathic intracranial hypertension) involves ophthalmologists, neurologists and neurosurgeons. Its clinical characteristics in the pediatric population are distinct from those in adult patients. 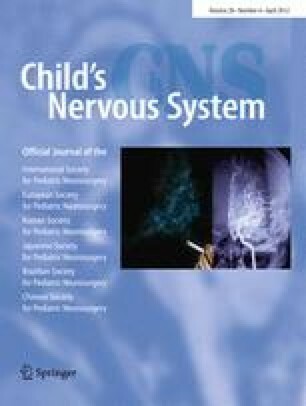 Fifty-nine patients diagnosed with pseudotumor cerebri were identified from the neurosurgery and neurology databases at Children’s Hospital, Birmingham, AL, USA. Clinical data were collected from the ophthalmology, neurology and neurosurgery departments. The average age of patients at diagnosis was 11.4 years (range 3–17). The average opening pressure of lumbar puncture (LP) was 37 cm of water. Most of the patients responded well to therapeutic LPs and medical management. Neurosurgical interventions included intracranial pressure monitoring and shunt insertion in nine patients. In three patients who presented with acute visual decline, two recovered and one remains legally blind. The care of patients with pseudotumor cerebri requires a multiple-disciplinary approach. Neurosurgical interventions are sometimes needed for diagnostic and treatment purpose. Prompt and accurate communication among specialists is necessary to ensure timely treatment and optimal outcomes.